This position is responsible for feature development and optimization of existing code in an AngularJS, NodeJS, MongoDB stack. Writing documentation for our external and internal APIs. Ability to clearly articulate technical problems, design and implementation choices to a broad range of stakeholders (e.g. sales team, users, security experts). Contributions to open source communities. 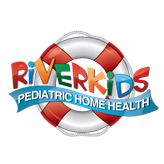 Want to get notified about new jobs at RiverKids Pediatric Home Health?